"WWW.ART created the most amazing website for me, I love it! At our first meeting I knew straight away I wanted to work with Fiona. She has a wonderful eye for detail and is very patient." We create websites that are tailored to your business or organisation. We develop websites that are secure, responsive and professionally built. 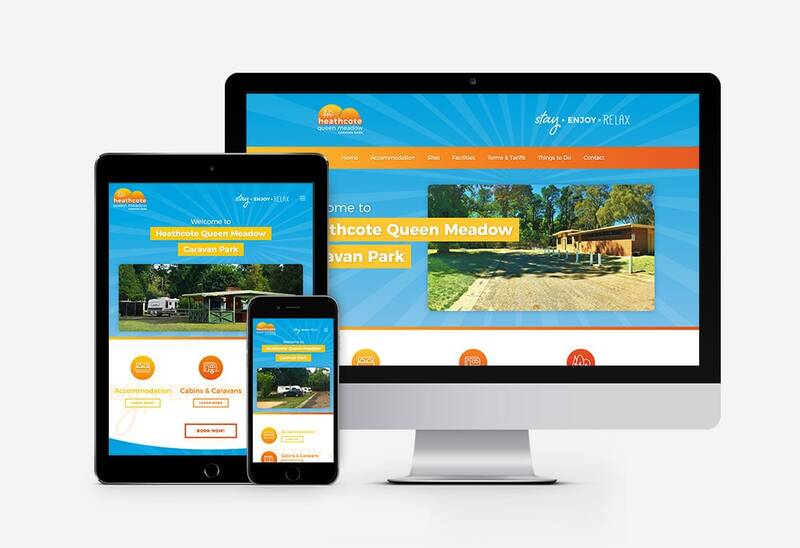 We ensure your website is unique and distinctive, while implementing good design practice, individual page outcomes and on-page search engine optimisation - all contributing to increased visitation to your website. We can work with your existing branding or if you need help, our graphic designer can develop a logo that is unique, as well as branding elements and marketing materials to position your business. If you require professional photographs, video production and/or website copy, we have specialists partners we trust. WWW.ART Design Services works with small to medium businesses and not-for-profit organisations, mostly located, but limited to, North East Victoria and Southern NSW. There is an emphasis on tourism, accommodation, health providers, professional services, trade operators and not-for-profit organisations. Your website is designed to be fully responsive across all devices, so your customers can access your site anywhere, anytime. Looking to sell and accept payments online? WWW.ART Design Services will discuss your requirements and make recommendations that are appropriate. We build your website to be search engine friendly. We use on-page Search Engine Optimisation (SEO) techniques so your website can be found by searching visitors. We install Google Analytics and Google Console so you can collect important statistical data. You can access these sites and use the data to track the performance of your website. You can update your own website or like the majority of our clients, have us do it for you. We encourage all clients who choose to make their own updates to schedule an annual review. An annual website review helps keep your business looking polished, professional and current. What are your goals for building a website? Need help with content for your website? We have partnerships with talented people we trust! Need assistance putting your business, products or services into words? Our professional copywriter will prepare copy that brings your business to life, showcases your points of difference and improves your calls to action. Between 200 and 250 words for the 'About Us' page. Between 150 and 200 words for each of your Services/Products Pages (Up to 3). Approximately 100 words for the location and 'Contact Us' page. Up to 50 words for the Homepage (derived from copy produced for the content pages). Copy produced for your website is crafted around identified keyword phrases potential customers will use to search for your business online. Need quality images that entice customers and showcase your business? Our talented photographer will produce high quality images that make a considerable impact on the professionalism of your website. Up to 7 professional photos. Photography equipment, lighting and captures on set. File handling, editing, colour balance and processing. Photographs taken will showcase your points of difference that have been highlighted in your website content. Want a videographer to create a visually stunning video to tell your unique business story? Our creative and experienced videographer will work with you to write, shoot and produce a video that truly represents your brand. A two hour video shoot at one location. A professionally written script of your business evolution. Video of client consultations, meetings and appointments. Additional imagery such as a portfolio of work and business location. Your video will emphasis what drives you and uncover your ‘why’, it will connect with your audience on a personal level. At WWW.ART Design Services we develop professional websites that perform in search engine results. We take the time to understand your online business goals and expectations. Our all-inclusive 12 month website packages will maximize your presence in Google search results and effectively meet your business goals. View our portfolio to see complete website and graphic design projects.